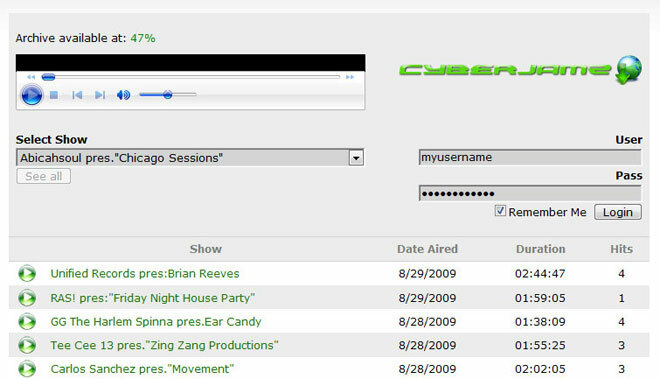 As of right now, there are no plans to produce native "podcasts" of the cyberJAMZ downloads shows becase our server scheme natively produces Windows Media Format files (asf, wma, wmv). There is, to my knowlege, no automated system that can convert these files to the needed MP3 format suitible for "podcasts" and then create the RSS feed that will allow one to subscribe to the feed(s). For now, we shall explore options that allow us to import our downloaded shows to iPods via free tools available at Microsoft. 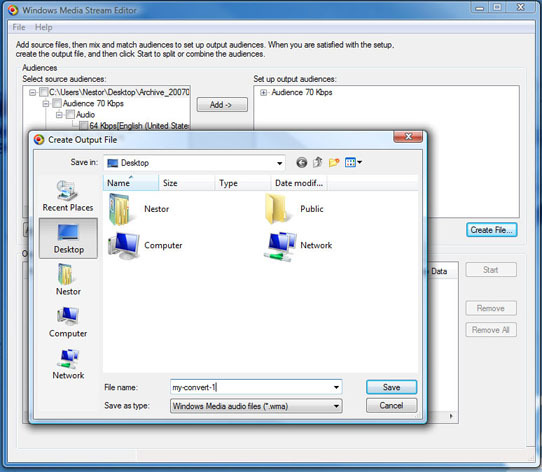 - Note: For better performance on a Windows Vista-based computer, see article 929182 in the Microsoft Knowledge Base. 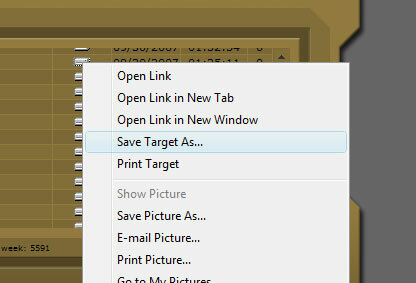 If you see it, then you've installed it successfully. 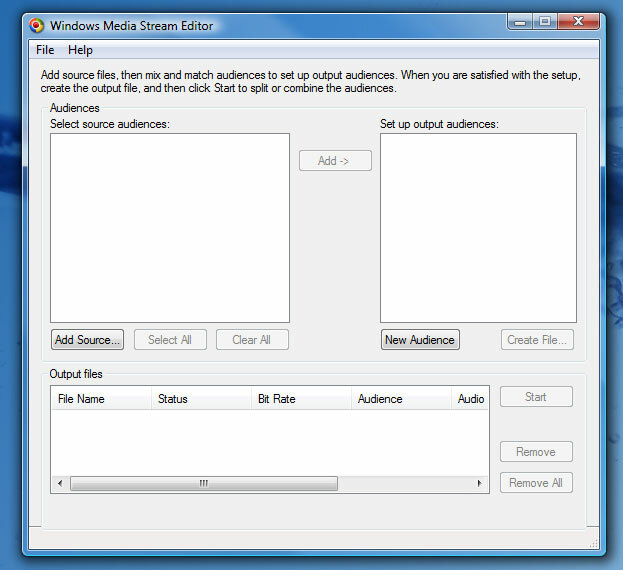 Please refer to the Microsoft site for additional information or help in installing the Media Encoder if you're having problems. 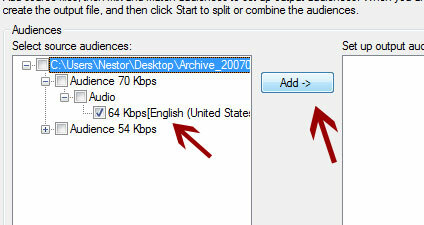 Select the highest audio bit rate, in this case, it's the 70kbps as indicated by the arrows. 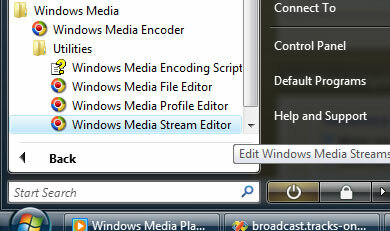 Because of varying broadcaster settings, these will be slightly differrent from show to show. Some are lower and range from 34kbps all the way up to 128kbps. The optimal is 70kpbs (comparable to a 128kbps MP3). 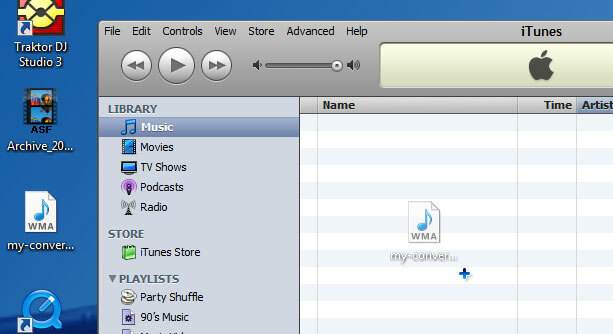 Now you'll have a "WMA" file that you can convert in iTunes and then transfer to your iPod! 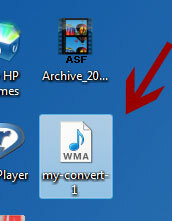 You can now discard the two source files (ASF & WMA) but remember, these shows are replaced by new shows every week so if you're sure you won't be needing the file again, it will be safe to delete. If not, keep them in a location you can find them later. 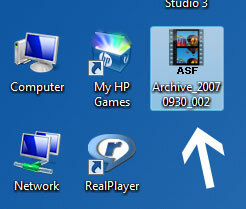 Again, shows cannot be restored once removed from the archive server. 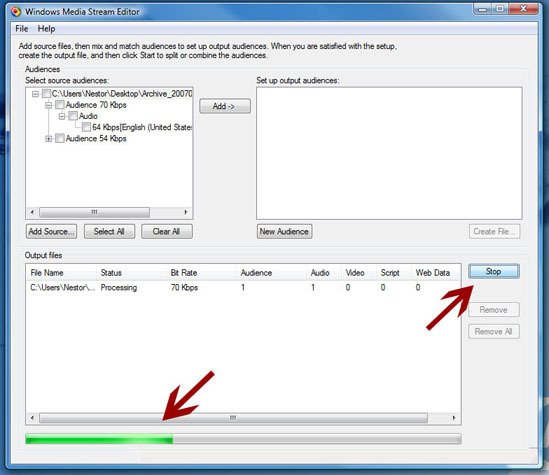 The reason why the server creates "ASF" or "Advanced Stream Format" files is that these files usually have more than one bitrate and or contain video. 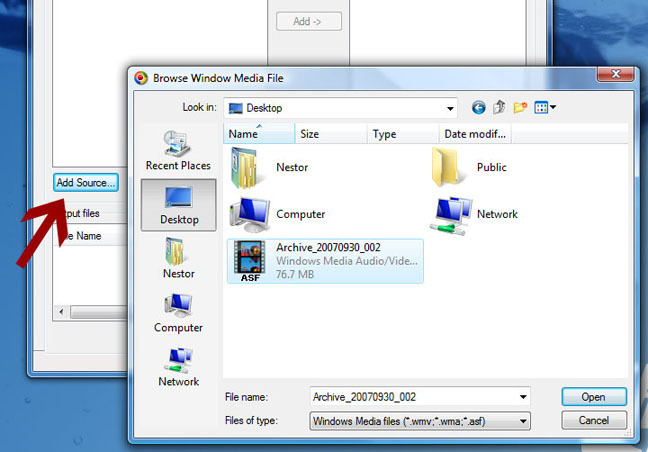 To keep the formats uniform, it creates a "wrapper" ASF file that can then be extracted using the Stream Editor. Any questions, please reply here. 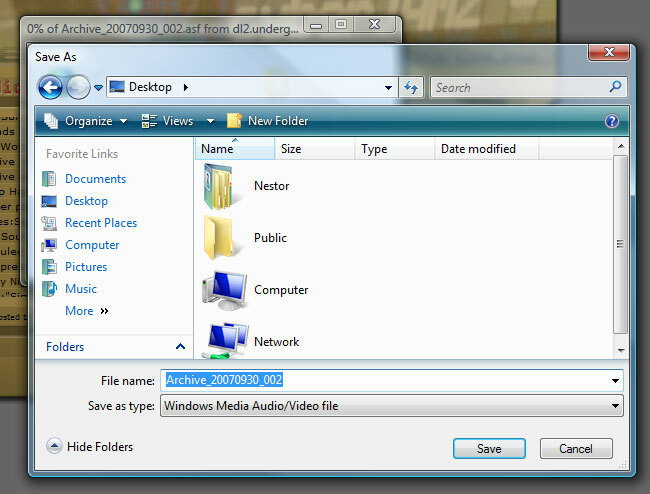 Note: The Switch Audio Converter is not freeware. The price for the software is USD $16.97 but will save you a lot of time and convert your cyberJAMZ files to whatever format you wish with a smiple click.